Were you fooled? 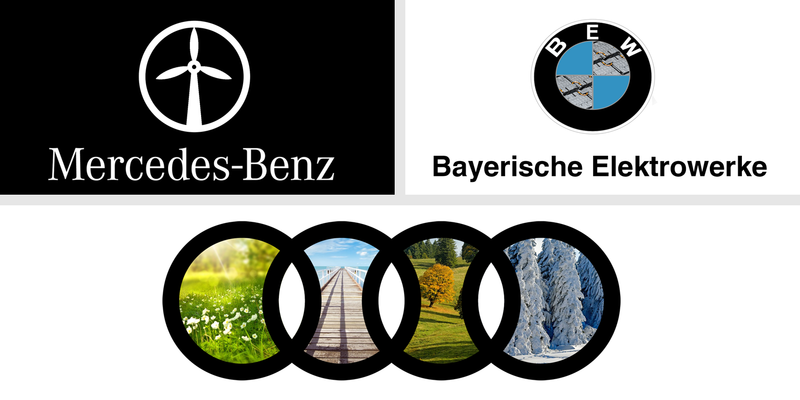 Our April Fools joke involved some rebranding of names and logos in the German transport industry and government. Jokes aside, Germany’s Ministry for Transport and Digital Infrastructure could – in all seriousness – be credibly renamed “Federal Ministry for Electric Transport and Digital Infrastructure,” were it not for the German Minister for Transport and Infrastructure, Andreas Scheuer (CSU), who began his ministry post by asking why we need to transition off fossil fuels at all. Similarly, our imagined update of Germany’s biggest automakers redesigning their visual logos with environmentally-friendly packaging might not have been so darkly funny, were it not for the diesel scandal that famously brought attention to the German car industry’s disregard for public health and the environment. However, these guys are still making bigger steps towards electrification than the government ministry given the task of setting the standard. Elsewhere on the web, April jokes were ricocheting around such as the “news” from elektronikpraxis.vogel.de (in German) claiming that Juice Technology had announced an electric vehicle charging station with an integrated orange juice press. Mmm, not a bad idea and we’d buy it, with a name like that. A slightly more elaborate joke came from motor1.com (in German) with the news that: “The electric driving licence comes on 1 April 2020! In response to a question from Motor1.com Germany, Undersecretary of State Alfred E. Neumann (CSU), responsible at the Federal Ministry of the Interior, said the student demonstrations about climate change had prompted the government to “build a bridge with the new driving licence class E to reconcile all young people aged 16 and over with the car industry”. Hmmm…. Chinese smartphone manufacturer One Plus had a pretty good one where they claimed to be bringing out a super sports car called the “OnePlus Warp Car” with mutiple announcements on twitter. But as firstpost.com reported, the joke was even more elaborate than a Twitter campaign – The Chinese company’s co-founder Carl Pei also “announced” the new venture on OnePlus Forums: a Warp Charged OnePlus electric car.